Xavier Labour Research Institute(XLRI), has recently launched a new facility for all the applicants. All the registered applicants of XAT 2019 to apply for XLRI programmes or opt for the additional programmes. However, this facility can be only availed by the students who have already applied for XAT 2019. The last date to avail this facility is December 28, 2019. This facility has comes as a blessing for those applicants who want to apply for more programmes or who missed applying for the XLRI courses at the time of registration. XAT 2019 Registration had started on August 20, 2018, and the last day to register was November 30, 2018, which was extended till December 9, 2018, with the late fee. Xavier Labour Relations Institute (XLRI), Jamshedpur has scheduled Xavier Aptitude Test (XAT) 2019 on Sunday, January 6, 2019, (10 AM-1 PM), on behalf of Xavier Association of Management Institutes (XAMI). As per the notification published, registered candidates of XAT 2019 can make the request to add additional programmes or XLRI programs in offline mode. Those who want to apply will need to send a letter to XLRI Jamshedpur along with a Demand Draft of INR 500. Candidates have to send the letter along with the demand draft to “XLRI, C. H. Area (East), Jamshedpur – 831001, Jharkhand, India” before December 28, 2018. The letter should have the following information inscribed on it: XAT ID, Father’s Name, Date of Birth, and name the programme/programmes you wish to apply for. The demand draft amount should be equal to the amount specified. Candidates need to attach a DD of 500 INR per additional programme. Candidate should make sure that the Demand draft is in favour of “XLRI, Jamshedpur” payable at Jamshedpur. Candidates must be aware that there is a request fee and it is not the same as the application fee. 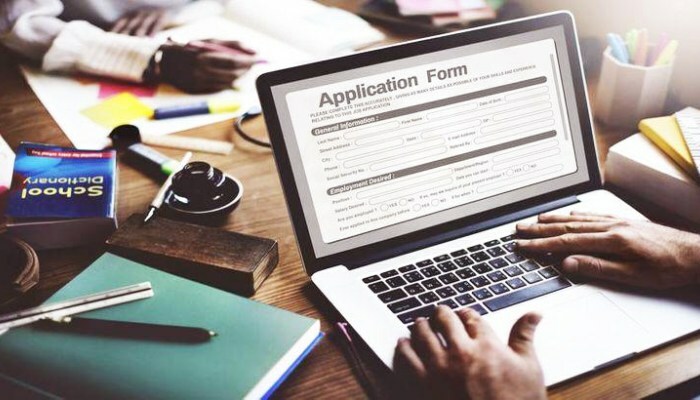 Earlier, while filling XAT 2019 Registration form, candidates must have paid the application fee 1700 INR and program fee of 300 INR per programme. The last date to register for XAT 2019 with late fee had been extended by XLRI till December 9, 2018. If candidates are availing this facility to add more programs to their list of choices, they will have to pay a fee of 500 INR per program as mentioned in the notification. XAT 2019 is scheduled for January 6, 2019, from 10 AM to 1 PM. XAT 2019 Admit card is scheduled to be released on December 20, 2018, in online mode only. XAT Admit card will display the candidate’s name, date of birth and contact details along with the test centre name and address. The results for XAT 2019 is scheduled to be declared on January 31, 2019. Xavier Association of Management Institutes (XAMI) has changed and revised XAT exam pattern for 2019 in terms of duration and sections. The test duration will be of 180 minutes instead of 215 minutes. 0.25 marks will be deducted for any wrong answer and 0.05 marks for more than 8 unattempted questions will be deducted.